Deputies of the Desnyansky united community of Kozelets district adopted the Program on provision of free legal aid to the population of the district in 2016 – 2018. How do the state and NGOs of Chernihiv region counteract modern slavery? And how effectively are they doing this? Because 17 people were granted the status of victims of human trafficking in Chernihiv region for the period of two years. To stop suffering from her husband’s cheating and to start a new chapter in her life – that was a decision of the displaced woman from Makiivka, who asked for legal aid in Chernihiv Community Law Center. Political turmoil, civil war, and economic collapse have left thousands of Ukrainians in desperate circumstances. Chernihiv Public Committee for Human Rights Protection (ChPCHRP) continues to serve their legal needs, redressing human rights violations, securing governmental services for villagers, and assisting those displaced by the conflict. Chernihiv regional council has made an important decision for the people of the region on 1 October 2014. During the session the deputies voted for the adoption of “The programme of legal education and providing of free primary legal aid to the people of Chernihiv region in 2014-2016”. This progressive decision is the result of cooperation between the specialists of Community Law Center of Chernihiv public committee of human rights protection and deputies, officials of regional council. Recently, the initiative of freeing members of families of anti-terrorist operation zone (ATO) participants from paying for housing and communal services is spreading in Ukraine. Local authorities of Chernihiv region are participating as well. Chernihiv local recruitment office together with public activists has launched a hot line for victims of corruption during mobilization. Representatives of Ukrainian Parliament Commissioner for Human Rights conducted a monitoring of medical examinations of mobilized persons. People from Chernihiv region continue to give humanitarian aid to their fellow-men who are combating in antiterrorist operation now. On 16 June 2014, the Chernihiv Public Committee of Human Rights Protection and the United Nations High Commissioner for Refugees Regional Representation for Ukraine jointly with the Higher Administrative Court of Ukraine held seminars for Zakarpattya asylum officers and judges who specialize in disputes concerning the status of refugees and persons in need of complementary protection, forcible return and expulsion of foreigners or stateless persons from Ukraine, as well as disputes related to the stay of foreigners and stateless persons in Ukraine. One of the biggest problems in Ukraine is high level of corruption practically in all life spheres. It concerns every citizen. Nowadays, both representatives of authorities and of public look for the ways to combat this problem. At midday on Monday, 25 November 2013, municipal workers dismantled the tent in Chernihiv’s central square erected by civic organizations protesting against the government’s decision to ditch the EU-Ukraine Association Agreement. Through the renewed European Neighbourhood Policy (ENP) the European Union is currently supporting the East Partnership countries (i.e. Armenia, Azerbaijan, Belarus, Georgia, Moldova, and Ukraine) and the Russian Federation within the Clima East program (8 pilot projects in 7 countries) so that they are better equipped for greenhouse-gas emission reductions and better prepared to deal with climate change impacts. Due to the Red Cross, almost 1,600 irregular immigrants detained in Chernihiv oblast obtained the possibility to contact their relatives and consular establishments, and thus, to speed up the determination of their future. Relationships with controlling and law-enforcement authorities, unregulated tax legislation, exercise of property and economic rights problems, peculiarities of registration and termination of entrepreneurship – those are the most urgent questions for entrepreneurs looking for legal aid. Especially that is true for small communities and countryside. A courtroom equipped with technical facilities for the remote broadcasting of victims’ and witnesses’ testimonies was inaugurated in May 2011 in the Chernihiv Region Court of Appeals. In addition, a specially outfitted separate room for persons being held in connection with a crime during court proceedings was opened. The installed equipment enables the complete separation of witnesses and victims from other court process participants in criminal cases related to human trafficking and other grievous crimes. This technical innovation is a huge step forward: at present, the majority of victims and witnesses of crimes related to human trafficking do not cooperate with law enforcement due to fear for their personal safety. The ABA ROLI-supported counter-racism programs continue to help refugees and foreigners assert their rights. Early 2011, the ABA Rule of Law Initiative (ABA ROLI) awarded advocacy grants to seven Ukrainian non-governmental organizations as part of its program to combat xenophobia and racism. The ABA ROLI-supported programs—some of which are in full swing while others are coming to a close—have been successful. In June 2011, a Palestinian national sought assistance from one of the grantees, the Chernihiv Public Committee for Human Rights Protection. Staff at the Chernihiv City Hospital refused him emergency medical assistance despite his refugee status, which would qualify him for the medical service. The committee filed an official complaint with the local public health department. Subsequent negotiations enabled the man to be admitted and treated at the hospital, with the Red Cross covering his expenses. According to a report published in the Chernihiv press on the results of their work in 2011, the police assert that only crooks, thieves and charlatans complain about them. In the report, entitled “The New Format Ukrainian Police: Results and Prospects” various statistical data are given showing positive results in fighting crime and reform of the police. Of particular interest is the information about complaints regarding human rights infringements by the police. Chernihiv Public Committee for Human Rights Protection continues activity on giving legal aid to victims of hate crimes and violence. The program goal is to protect the victims of racism and hate crimes, prevention of such crimes by giving free legal aid and other assistance to the vulnerable groups in Chernihiv Region as well as to the foreigners detained in the “Rozsudiv” Migrants Accommodation Center in Chernihiv Region. For this purpose there will be carried out a number of human rights, education and information actions with the participation of the representatives of interested parties: minorities, refugees, migrants, policemen and border guards, NGO activists and wide sections of the population. 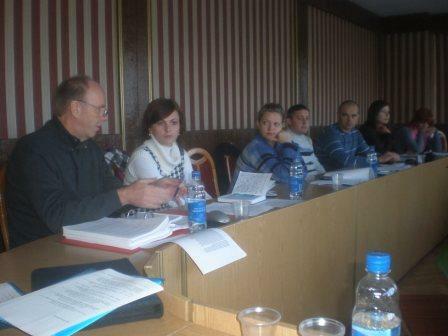 On 6-8 October, 2010, a series of trainings on the theme “Protection of Migrants’ and Asylum Seekers’ Rights. 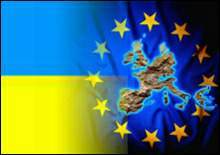 EU-Ukraine Readmission Agreement Implementation” for border guards, policemen and judges held in Volyn Region of Ukraine. The following themes were highlighted: rights of migrants detained for violation of migration law (right to an effective remedy, interpreter’s assistance and right to appeal decision of authorities); international and national standards of treatment of illegal migrants; legal and institutional base on readmission in Ukraine and EU countries’ experience; problem of ill-treatment in the context of combating irregular migration and counter-traffcking; respect for human rights in the activity of law enforcement agencies, etc. Chernihiv Public Committee of Human Rights Protection launches new project “Advocacy Campaigning for Prevention of Human Rights Abuses of Irregular Migrants and Persons being in Readmission Procedure in Ukrainian Detention Facilities”. The process of counteracting illegal migration is connected with the necessity to keep detained illegal migrants in closed facilities in custody (as a rule, in the temporary accommodation centers for the foreigners and stateless persons). Sometimes it leads to violation of human rights, and in some cases, to inhuman or degrading treatment of migrants. Until recently, this problem was exclusively connected with the migrants detained on the territory of Ukraine. But a new page in the issues of respect of human rights of detained irregular migrants was opened by Ukraine on January 1, 2010 when the readmission agreement between the EU and Ukraine has come into effect. The Desnyansky District Court in Chernihiv ruled that a curfew for minors was unlawful and that the Chernihiv Regional Council had violated citizens’ constitutional right to freedom of movement. The Decision of the Council “On restricting children’s presence in recreational establishments, public eating places, computer clubs, on the streets and other public places” from 24 December 2009 in prohibiting children under the age of 14 from being on the street and other public places without their parents after 22.00, and from 14 to 16 — after 23.00, was declared unlawful. The press managed to learn the details of commission of crimes and detention of Chernihiv (Ukraine) maniac-Nazi schizophrenic, who in the evening of April 20, 2010, on the day of 121st anniversary of Hitler, killed with a shovel three elderly people (60-80 years). Another victim, a man aged 45, a former military man, beat off the maniac. He is alive, although his head is injured. The source, close to the investigative operational group from the central office of the Interior Ministry, told about it, writes Segodnya.